Defying years of cinematic stereotypes that say America doesn’t want to see Tom Hanks play dependable heroes who keep their cool under overwhelming pressure, Clint Eastwood has tapped the much-loathed actor to play Captain Chesley “Sully” Sullenberger in an upcoming film. Sullenberger rose to national prominence in 2009, after he skillfully piloted US Airways Flight 1549 to a successful water landing in a display of grace and skill that just won’t look natural coming from Chet Haze’s dad. Eastwood’s movie will be based on Sullenberger’s first book, Highest Duty, in which the pilot recounts his life story and the events of the accident with thoroughly un-Hanks-ian humility and modesty. The film will be the latest in Eastwood’s long line of films based on true stories, which most recently brought him massive box office success with American Sniper. 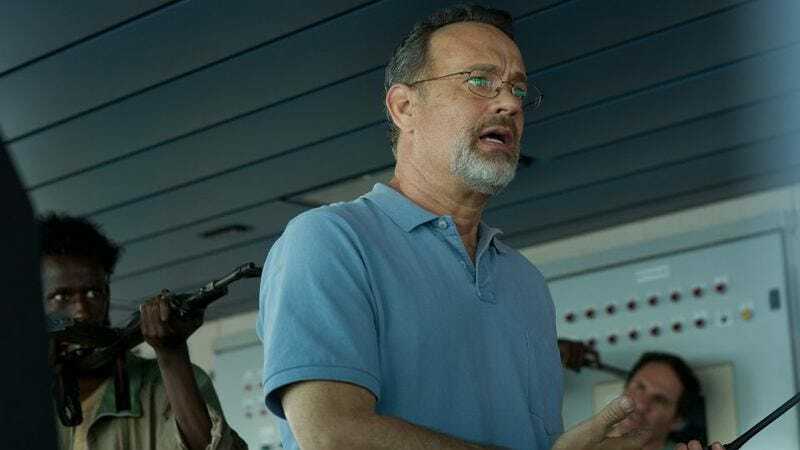 To be fair to Hanks, he’s not wholly unqualified to play Sullenberger, having starred in 2004’s The Terminal, in which he often stood in the general vicinity of planes. But really, behind that, his experience playing heroic everymen—outside token roles in Joe Versus The Volcano, Sleepless In Seattle, Forrest Gump, Apollo 13, Toy Story, Saving Private Ryan, The Green Mile, Cast Away, and Captain Phillips—doesn’t seem sufficient to prepare him for such a role.